To mark the 25th anniversary of Sir David Lean’s death, his award-winning film THE SOUND BARRIER is been released on DVD and Blu-Ray for the first time. Originally made for TV in 1952, THE SOUND BARRIER tells the fictional story of the British attempts to break the sound barrier and achieve supersonic flight. 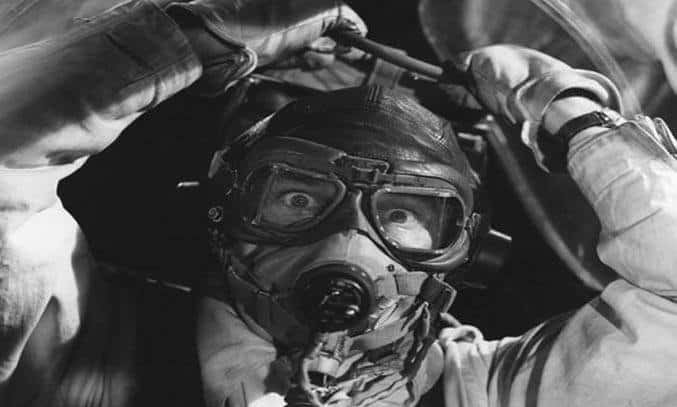 Nigel Patrick plays Tony Garthwaite, a WWII pilot who is employed by his father-in-law, wealthy aircraft owner John Ridgefield (Sir Ralph Richardson) to fly new jet-powered aircraft faster than the speed of sound. But Ridgefield’s obsession with breaking the sound barrier has its own risks and the human cost of scientific progress soon sends Ridgefield close to madness and his family into turmoil. Powerful, gripping and incredibly dramatic, THE SOUND BARRIER is a film is about sacrifice, obsession and exploration. While the story itself is fictional, Lean’s close attention to detail and his footage of early 50s jet aviation (including the world’s first jet passenger plane, the Comet), makes the film feel “semi-documentary” in style. The director obsessively researched media reports and conducted interviews with aeronautic designers and test pilots to turn over 300 pages of notes to acclaimed playwright Terrance Rattigan to turn into the screenplay. The film features an all-star British cast including Sir Ralph Richardson as John “JR” Ridgefield, a man obsessed with technological mastery and pursing it at the cost of everything else. Nigel Patrick is equally good as Tony, the son-in-law compelled to risk his life without knowing exactly why. 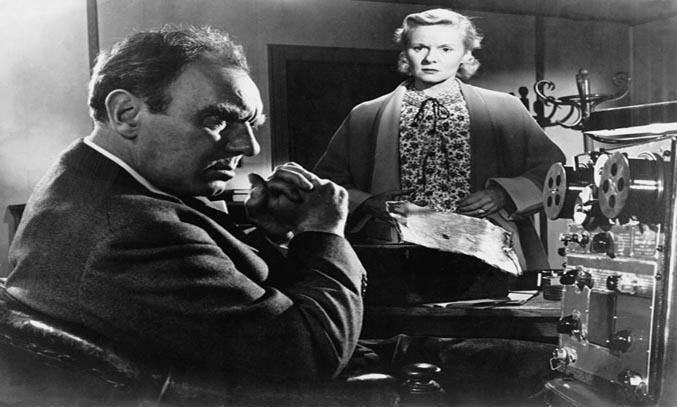 But it is Lean’s ex-wife Ann Todd who steals the show as the troubled Susan, fearing for her husband’s life. Todd’s sensitive and nuanced performance is full of tenderness, with the audience feeling every piece of her inner torment each time gets into the plane. While there are many things to love about THE SOUND BARRIER, the film isn’t without its flaws. The acting is melodramatic at times and the film has a slightly-too-long runtime at 112 minutes. That said, Rattigan’s script and Lean’s impressive use of POV and long shots, together with Malcolm Arnold’s terrific score, captures the sense of speed and danger that follows. Considering its age, THE SOUND BARRIER has also been wonderfully restored by the BFI National Archive in partnership with STUDIOCANAL. In addition to the enhanced imagery, the DVD and Blu-Ray release also boasts an array of special features including an interview with Terence Rattigan’s official biographer Geoffrey Wansell and a 10 minute excerpt from a BFI interview with David Lean in 1959. Despite being a box-office success and its BAFTAs for Best Film and Best British Film, THE SOUND BARRIER remains one of Lean’s lesser-known works and is rarely seen. Perhaps the time has finally come for a new audience to discover this black and white classic?